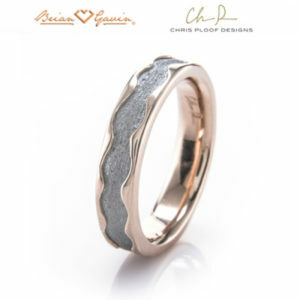 Brian Gavin Diamonds is proud to introduce Gibeon meteorite rings and bands from Chris Ploof Designs. This fine collection of meteorite engagement rings and wedding bands are made exclusively from pieces of Gibeon meteorite found in Namibia. 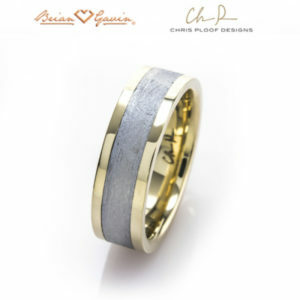 As you can clearly see, the look of these Gibeon Meteorite rings and bands by Chris Ploof Designs is truly unique. Not only in the fact that they incorporate genuine pieces of Gibeon meteorite into the rings, but also because no two pieces of meteorite exhibit the exact same pattern. The Abigail setting by Chris Ploof, pictured to the left, and the other three designs featured at the top of this page, are among the most popular Gibeon meteorite engagement rings and bands purchased by our clients. If you’re searching for something truly unique, congratulations, you just found it! Where Does Gibeon Meteorite Come From? The Gibeon meteorite is believed to have entered our atmosphere about 30,000 years ago at the incredible speed of 17 miles per second. It’s easy to imagine that flaming ball of fire streaking across the sky. What an entrance it must have made! What a sight to see! Scientists believe that the meteorite exploded high-up in the sky and pieces of it rained down upon what is now known as Namibia. Imagine how spectacular that glorious light show that must have been! I wonder what early inhabitants of Namibia thought about such an epic event. Not only must it have been an incredible sight, it was probably also very dangerous. Fragments of the meteorite are spread across an elliptical area that measures approximately 171 miles long and 62 miles wide. The village of Gibeon in Namibia’s Hardap Region is the epicenter of the covered area. From a technical perspective, Gibeon meteorite is iron based and belongs to the IVA chemical group. The meteorite fragments are composed of an iron-nickel alloy with large concentrations of cobalt and phosphorus. More specifically, the composition of Gibeon meteorite is reported to be 91.8% Iron; 7.7% Nickel; 0.5% Cobalt; 0.04% Phosphorus; 2.4 ppm Iridium; 197 ppm Gallium; and 0.111 ppm Germanium. Scientists believe that the Gibeon meteorite is part of the core of an extinct planet that exploded billions of years ago. How is Gibeon Meteorite made? The combination of extreme heat as the Gibeon meteorite traveled through space and broke through earth’s atmosphere and the slow-cooling off process created a unique crystalline pattern that looks amazing in the designs created by master jeweler Chris Ploof. The crystal structure of Gibeon meteorite is that of a fine octahedrite and the Widmanstätten pattern, pictured to the left, looks incredible as the centerpiece for Chris Ploof’s Gibeon meteorite ring and wedding band designs. Photo credit: Kevin Walsh via Flickr, username kevinzim. When was Gibeon Meteorite Discovered? Although the Gibeon meteorite burst through the earth’s atmosphere approximately 30,000 years ago, it wasn’t “officially” discovered until 1838. However, it is known that the indigenous inhabitants of Namibia were making spear points and tools out of the fragments long before that discovery. How Rare Is Gibeon Meteorite? The degree to which something is rare is obviously a matter of perspective. However, we are talking about metal from a meteorite that is estimated to be about four billion years old. From our perspective, we’d say that makes Gibeon meteorite a pretty rare commodity. 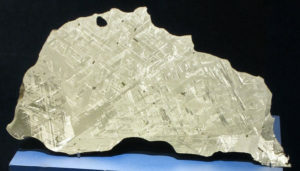 To date, it is estimated that only 100-150 fragments of the Gibeon meteorite have been collected. Thirty-three of those were between the years of 1911 – 1913 in the vicinity of Gibeon. Inhabitants of Namibia still find pieces of Gibeon meteorite from time to time, but obviously, each piece is a treasure. Of course, not every piece of Gibeon meteorite that is discovered is suitable for jewelry. According to Chris Ploof, they reject about 20 pieces of meteorite for every one that is in good condition. Most of the pieces of meteorite contain deep fractures and inclusions that are not suitable for jewelry, and then there are the effects of being exposed to the elements for thousands of years. 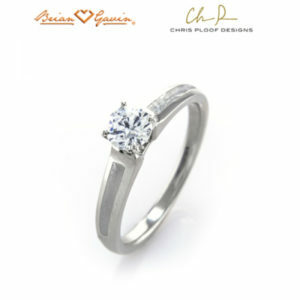 Obviously, Chris only wants to use the best pieces of Gibeon meteorite in his jewelry creations. Sections of Gibeon meteorite are cut, forged, and fabricated, and then set into gold, mokume gane, or platinum. 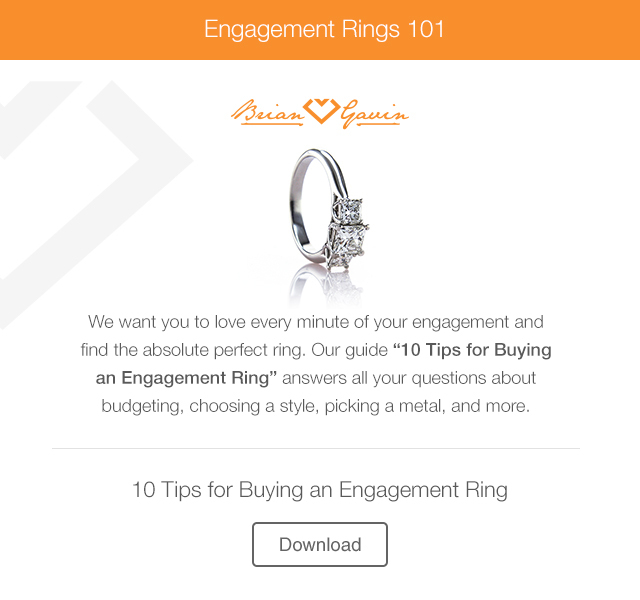 Each ring is made with a comfort fit rounded inner shank so that it feels good on the finger. The Gibeon meteorite is worked in the final stages of fabrication to enhance the Widmanstätten pattern. The definition of the patterns is completely random, so each ring is unique and beautiful in its own way. To this regard, no two Gibeon meteorite rings are alike, even though the basic design of the rings remains the same. 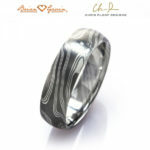 Due to the recent popularity of Gibeon meteorite rings and jewelry, and the relative rarity, some jewelers have begun to make rings and bands using Muonionalusta meteorites which look similar to Gibeon when cut and etched. Unfortunately, the Muonionalusta meteorite pieces are prone to rusting and are not as stable as Gibeon meteorite. It is also a much less expensive material, because of its propensity to rust. Muonionalusta meteorite is so unstable that it usually has to be plated to slow down the oxidation process. Suffice to say, that you don’t want your engagement ring or wedding band to be made out of “Ruster Meteorite” when a more durable, more stable alternative is available. 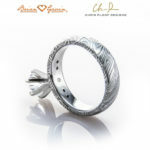 Chris Ploof Designs uses only the best quality Gibeon meteorite in the production of its jewelry. 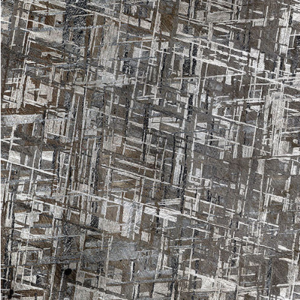 Due to the high nickel content of Gibeon meteorite, it is naturally stain and rust resistant. How to clean Gibeon Meteorite Jewelry? Although Gibeon meteorite is naturally stain and rust resistant under normal conditions, there are some basic steps you’ll want to take to keep your ring or wedding band look its best. 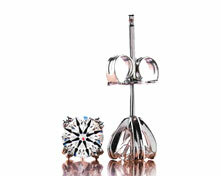 As with all fine jewelry, it is best not to expose your rings to any household cleaners that contain bleach. You should not wear your rings in swimming pools or hot tubs, or basically anywhere else where they might be exposed to chlorine bleach. Most people don’t know how harmful exposure to household chemicals such as these can be to jewelry. Chlorine bleach has the ability to weaken the structural integrity of your jewelry. Exposure to bleach can make your jewelry brittle and lead to breakage and/or the stone loss, because the bleach literally leaches the alloys out of the ring. It’s also a good idea to remove jewelry when swimming because cold water can cause fingers to shrink, which can lead to jewelry being lost. Necklaces and bracelets can also create a hazard because they can catch on things. According to Chris Ploof, the precious metal components of all their Gibeon meteorite rings and bands can be cleaned with any commercially available jewelry cleaner or cloth. However, the best way to keep your Gibeon meteorite rings looking their best is to wear your ring as much as possible because the natural oils in your hands serve to protect the iron from discoloring. If discoloration does occur, the meteorite may be cleaned with CLR, a commercial cleaner available at home improvement stores. Be advised that after many years of wear, the etched pattern of the Gibeon meteorite might appear to be less sharp, or your ring might need professional polishing. 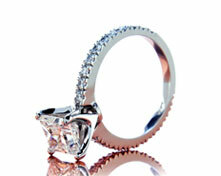 Please contact us at that time to arrange re-etching and polishing of your ring. 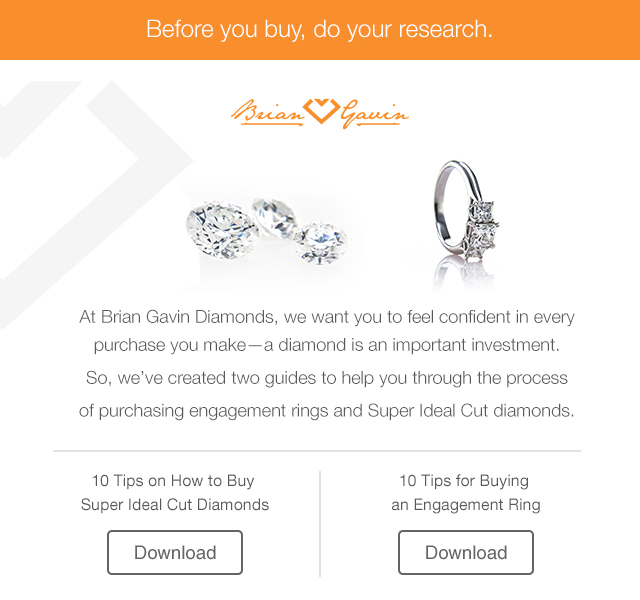 None of this is unusual, it’s all pretty standard procedure in terms of repair and maintenance for engagement rings and wedding bands. 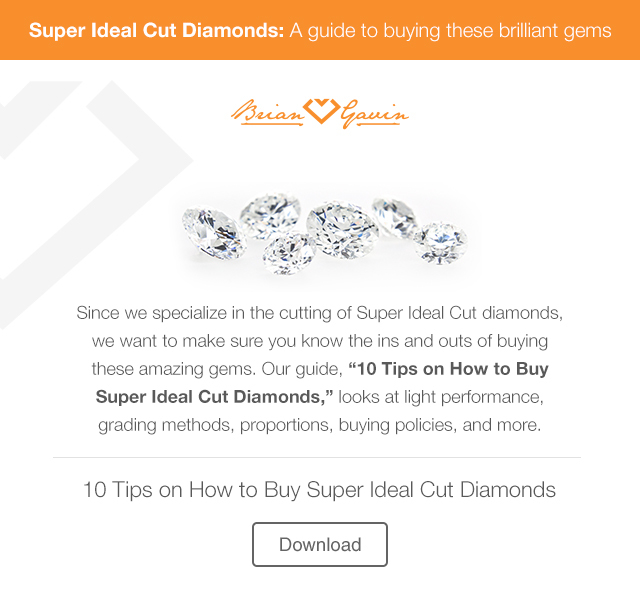 What is the process if I want to design a ring from scratch? 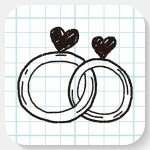 This entry was written by Danny, posted on August 3 at 8:51 am, filed under Custom Jewelry. Bookmark the permalink. Follow any comments here with the RSS feed for this post. Trackbacks are closed, but you can post a comment. Besides offering the finest performing jewelry in the world, Brian Gavin brings more than 30 years of experience in custom jewelry designs.